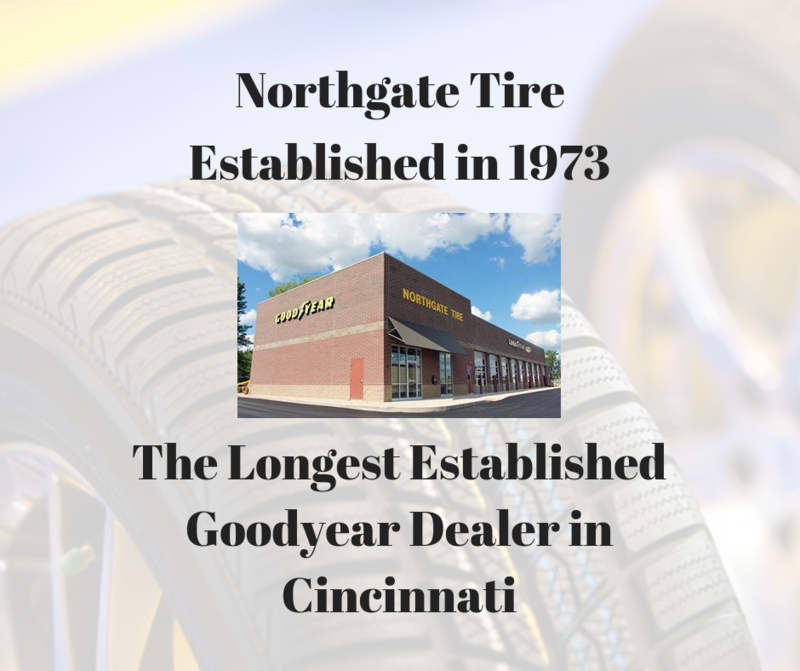 Cincinnati drivers have depended on Northgate Tire for over 40 years, and we couldn't be happier to serve you all! Northgate Tire has been happily serving Cincinnati for nearly half a century. Our customers look to us for major brands including Goodyear, BF Goodrich, Michelin, Uniroyal, and more. Northgate is excited to say that we have the best selection of discount tires and at the lowest price, guaranteed! Wondering why customers choose Northgate Tire? We're family owned and operated, offer speedy auto service, have a large inventory of tires available, and promise a tire price match guarantee. Not sold yet? Check out what our customers have to say here. Come to Northgate Tire for all your auto service needs - we do it all! Give us a call today.